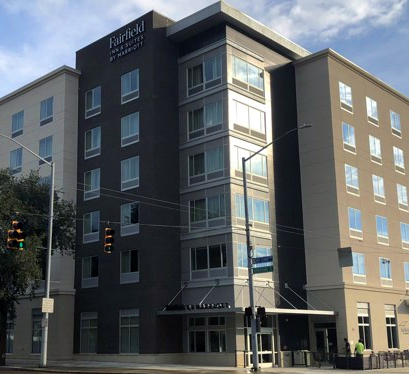 Downtown’s new Fairfield Inn and Suites in the Water Street district is now open. The hotel is located at the corner of Patterson Boulevard and Monument Avenue near the Water Street commercial building and features 98 rooms. This is the first hotel built downtown in over a decade, situated across from major downtown attractions Fifth Third Field and RiverScape MetroPark.